All of the vineyards for the Accendo wines are certified organic. With his family name in mind, Bart Araujo found a good fit for his newest project's label. It wasn't easy though. "We'd gone through the dictionary, mythology, the name book, everything. It's getting to be slim pickings out there," laughs Araujo of the available names not already trademarked with the Alcohol, Tobacco, Tax and Trade Bureau (TTB), the governing body that registers and approves winery names and labels. Eventually the vintner landed back on "A," as in Araujo, choosing Accendo (ah-CHEN-doe), a Latin verb meaning "to illuminate, enflame or arouse." The "A" and the fact that Accendo is Cabernet Sauvignon means the new project draws a few parallels to Araujo's previous venture, when he and his wife, Daphne, owned Eisele Vineyard and made the wines under the Araujo Estate name (they sold that property to Artémis Domaines, the holding company of French billionaire François Pinault that also owns Bordeaux's Château Latour, in 2013). Adding to the sense of continuity is the winemaking team the Araujos brought with them, the duo of Françoise Peschon and Nigel Kinsman—Peschon has worked with the Araujos since 1993; Kinsman joined them in 2010. But there is a key difference between Araujo's former and current projects. While at Eisele, the Araujos used estate fruit from a single vineyard in Calistoga. With Accendo they are making a wine sourced from multiple vineyards, all located well south of Calistoga, in Oakville. And the inspiration for it came over dinner. A few dinners, actually. "It was the reserve list at Press that ruined me," says Araujo, referring to the lengthy wine list at the St. Helena steak house known for its deep selection of aged California Cabernet. "We got taken by how amazingly intact wines from the '50s, '60s and '70s were. And how impressive the wines from the Oakville Bench area were. So after making a single-vineyard wine for 25 years, we decided to make a change." While the vineyard sources have changed, Araujo stresses that it's just as equally about farming now as it was at Eisele. Winemaker and viticulturist Steve Matthiasson manages the parcels in five vineyards that Araujo is currently sourcing fruit from (all of which are certified organic), including Vine Hill Ranch, Sleeping Lady and Oakville Ranch. Another two vineyards, to be farmed biodynamically, are in various stages of planting and are coming online bit by bit. The wine is made in a new facility built by the Araujos on the grounds of an old mixed-use ranch called Wheeler Farms. The Araujos kept the historical name for the facility, which also rents space to other boutique labels, including Tor, Vice Versa and Arrow & Branch. The 2014 Accendo Cellars Cabernet Sauvignon Napa Valley is pure Cabernet, but the 2015 Accendo includes 4 percent each of Cabernet Franc and Petit Verdot. With the 2016 vintage, the Cabernet Franc component increased to 25 percent. "Typically we prefer 90 percent Cabernet Sauvignon. But when we put this blend together, we just loved it," says Araujo. "We let the wine dictate itself." When the Araujos arrived in Napa and purchased Eisele Vineyard in 1990, they were seen as outsiders, with some questioning what might happen to such an iconic vineyard in the hands of new-to-wine owners. During their tenure, the Araujos elevated Eisele Vineyard to new heights. With Accendo, they're paying homage to Napa's past while fashioning a wine in a more modern vein, and they're doing so by letting the wine dictate itself. No one is questioning them now. WineSpectator.com members: Read James Molesworth's tasting notes on Accendo's first three vintages. 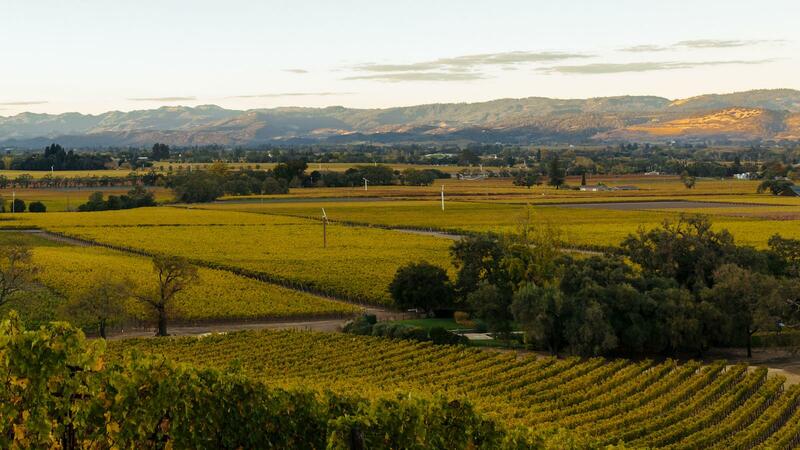 In the interest of contributing to the accuracy of your article, Vine Hill Ranch has been managed by Michael Wolf Vineyard Services, in close collaboration with the Phillips family since 1998. The vineyard, while farmed in a very sustainable and environmentally responsible manner, has never been certified organic.